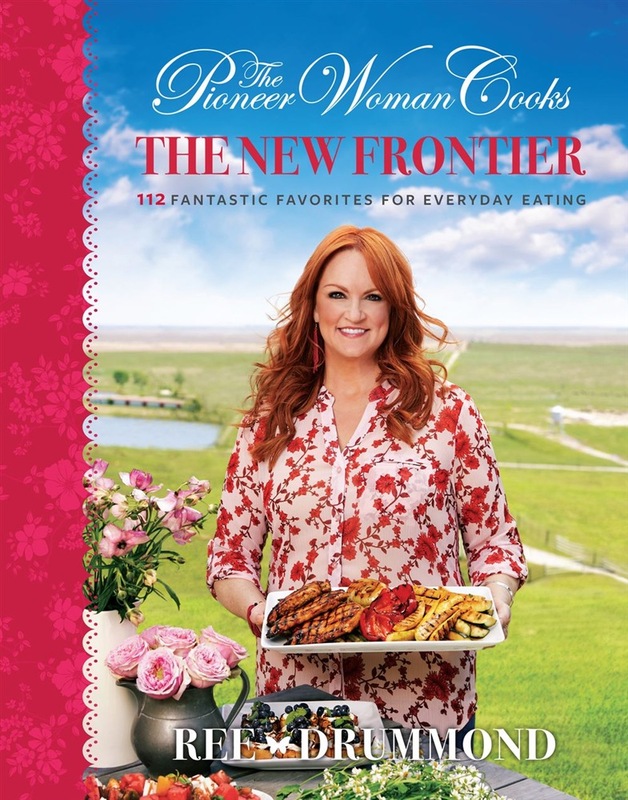 The #1 New York Times bestselling author and Food Network favorite The Pioneer Woman cooks up exciting new favorites from her life on the ranch in this glorious full-color cookbook that showcases home cooking at its most delicious (and most fun!). Welcome to Ree’s new frontier! Much has happened on Drummond Ranch over the last couple of years: The kids are growing up, another left for college, Ree’s business has expanded, and her cooking has evolved. While she still cherishes her trademark family-friendly style of food, Ree’s been cooking up some incredible new dishes that reflect the flavors, colors, and texture she’s craving these days. The Pioneer Woman Cooks: The New Frontier features 120 brand new step-by-step recipes that inject fresh, exciting elements into Ree’s beloved comfort foods. From super-scrumptious breakfasts, to tasty soups and sandwiches, to doable and delicious suppers and sides—and, of course, a collection of irresistible sweets you’ll want to make immediately!—home cooks everywhere will discover an extensive list of must-make dishes the whole family will love. A wife, mother, and successful entrepreneur with a thriving business and popular social media presence, Ree knows exactly what it means to juggle life’s numerous demands simultaneously. Because the day-to-day can get pretty busy, she’s created diverse and delectable recipes to make breakfast, lunch, and dinner a little simpler by including solutions using a sheet pan, an Instant Pot, and a slow cooker, as well as her much-loved cast iron skillet and Dutch oven. And to reflect her own occasional adventures in carb cutting, Ree shares 50 of the most luscious “lower”-carb recipes you’ll ever taste, designed to mix in with hearty recipes her longtime fans have come to love. In The Pioneer Woman Cooks: The New Frontier you can explore an amazing and eclectic mix of traditional and new including: Portobello Bun Burgers (revolutionary) Instant Pot Pumpkin Spice Oatmeal (tastes just like fall!) Cheesy Lasagna Soup (so family friendly) Fried Red Tomato Sandwich (delicious, with pesto mayo and whole basil leaves) ”Everything” Parmesan Crisps (an irresistible low-carb snack) Zucchini Caprese Sliders (a pretty and tasty low-carb delight) Blueberry Ricotta Crostini (gorgeous party food!) Teriyaki Shrimp and Pineapple Parcels (the NEW way to stir fry) Mean Green Mac & Cheese (mac & cheese + veggies = score!) Ranch Pork Chop Sheet Pan Supper (kids will love to make it) Cauliflower Fried Rice (a guilt-free version of your favorite takeout dish) Ice Cream Bonbons (smaller bites, to satisfy quick cravings) 11-Carton Cake (uses a carton of yogurt, then the carton measures everything else!) Caramel Apple Quesadillas (beyond belief) Ree mixes dazzling new dishes with plenty of kitchen and organizational tips, plus advice to help you optimize your time and space in the kitchen so that you can enjoy time with your family! Filled with sensational food that is both sophisticated and down-home (and oh-so-easy to make and bake), The Pioneer Woman Cooks: The New Frontier offers a whole new world of ?”scrumptious” for you to explore! Acquista The Pioneer Woman Cooks: The New Frontier in Epub: dopo aver letto l’ebook The Pioneer Woman Cooks: The New Frontier di Ree Drummond ti invitiamo a lasciarci una Recensione qui sotto: sarà utile agli utenti che non abbiano ancora letto questo libro e che vogliano avere delle opinioni altrui. L’opinione su di un libro è molto soggettiva e per questo leggere eventuali recensioni negative non ci dovrà frenare dall’acquisto, anzi dovrà spingerci ad acquistare il libro in fretta per poter dire la nostra ed eventualmente smentire quanto commentato da altri, contribuendo ad arricchire più possibile i commenti e dare sempre più spunti di confronto al pubblico online.